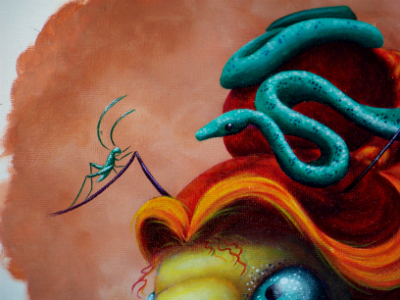 Sneak peek at one of the victorian praying mantis paintings I’ve been working on. I’ve been pushing myself to make every one better than the last, sometimes I succeed…. sometimes I’m not sure . I’ve been invested in this project for over a year now and although I haven’t completed as many as I thought I would this far along I am in general pleased with the work, and I have learned quite a bit. Also, surprisingly (at least to me) I have not tired of the subject yet! This entry was posted in Victorian mantis project and tagged art, Mantis, paint, sneak peek, victorian. Bookmark the permalink.